HubSpot surveyed nearly 4,500 marketing and sales professionals at virtually all levels, across all industries, and around the world. They asked what they do, why they do it, how they do it, and if it's working. Globally, marketers focus on converting their contacts into customers, increasing the overall number of leads they generate, and proving the ROI of their marketing activities. Sales professionals are aiming to improve the efficiency of their sales funnel, improve their existing sales technology, and reduce the length of the sales cycle. 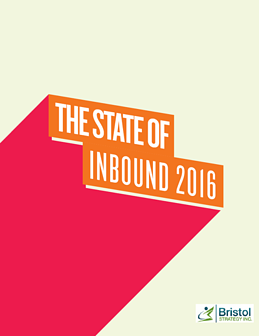 Use the State of Inbound Marketing Book as a guidepost to compare how other marketers are implementing Inbound Marketing and the results they are achieving.